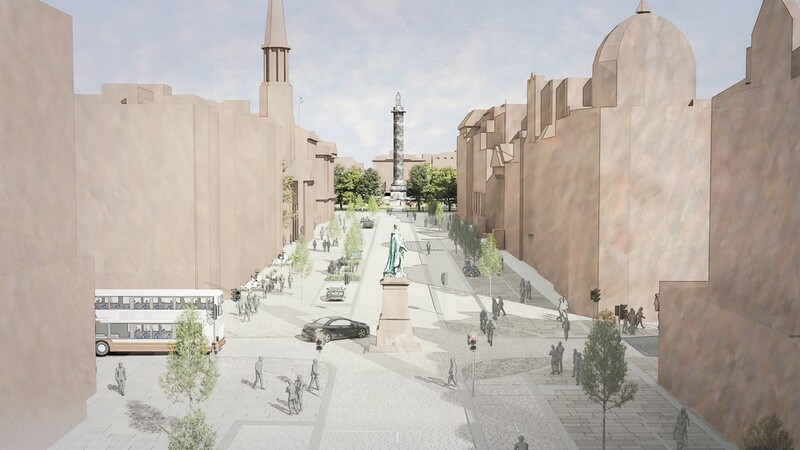 Sir Terry Farrell and the developer Cala-Morrison were selected as preferred bidders for the expansion of the Edinburgh International Conference Centre by the EICC board, beating five other architects, including Michael Laird Architects, Comprehensive Design and Allan Murray Architects. 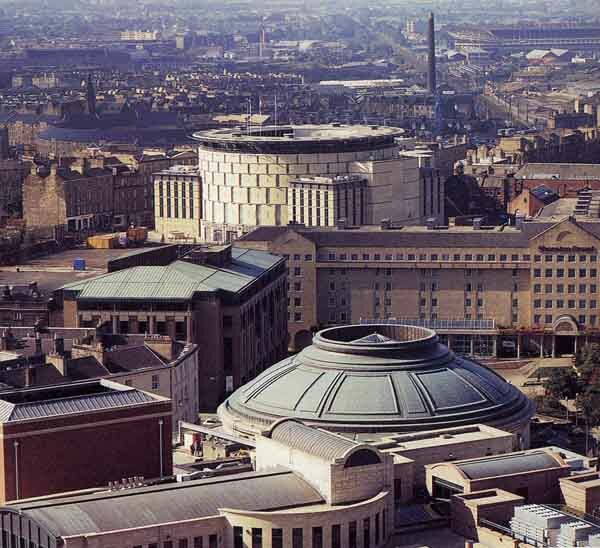 The selection of Sir Terry Farrell for the EICC Expansion caused controversy re a claimed potential conflict of interest after his firm of architects emerged as the front-runner for a £60m expansion project on the Conference Centre building owned by the City of Edinburgh Council. Sir Terry, who is based in London where he designed the MI6 headquarters, has a branch of his firm in Edinburgh’s West End. 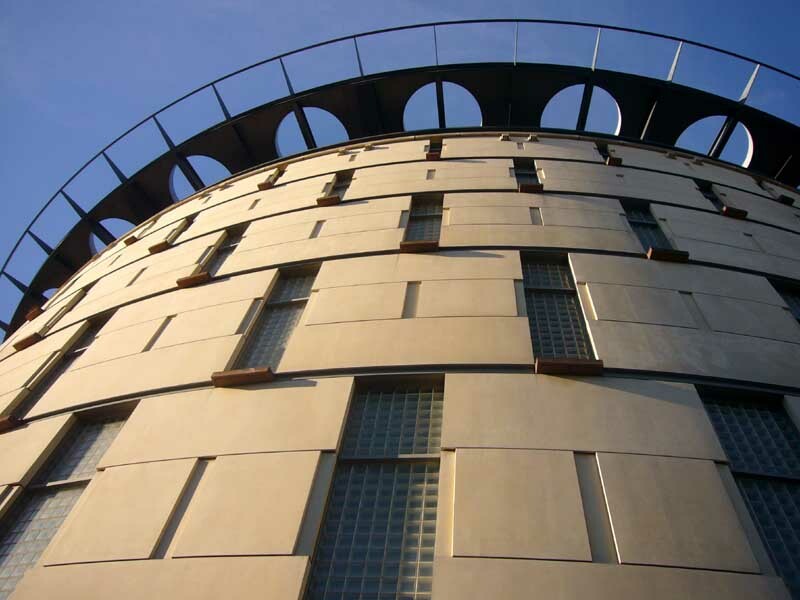 He also designed the EICC, and was unveiled as the city’s architecture champion in February 2004. 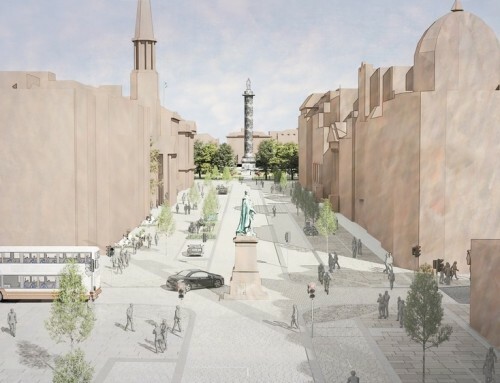 But other Edinburgh architecture firms cried foul over Sir Terry’s continued commercial enterprises conflicting with his honorary position as a design adviser for Edinburgh. 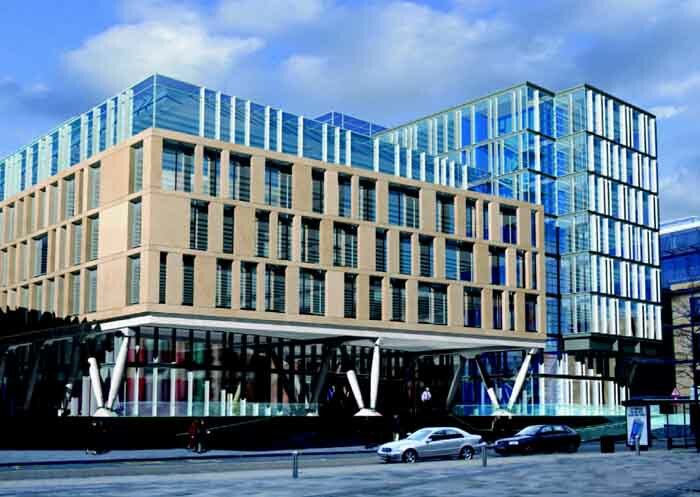 The City of Edinburgh Council advised that no final decision re the Edinburgh International Conference Centre was to be made until 24 June 2004. The contract for the additional function space was advertised in the European Journal (OJEC) in 2002. 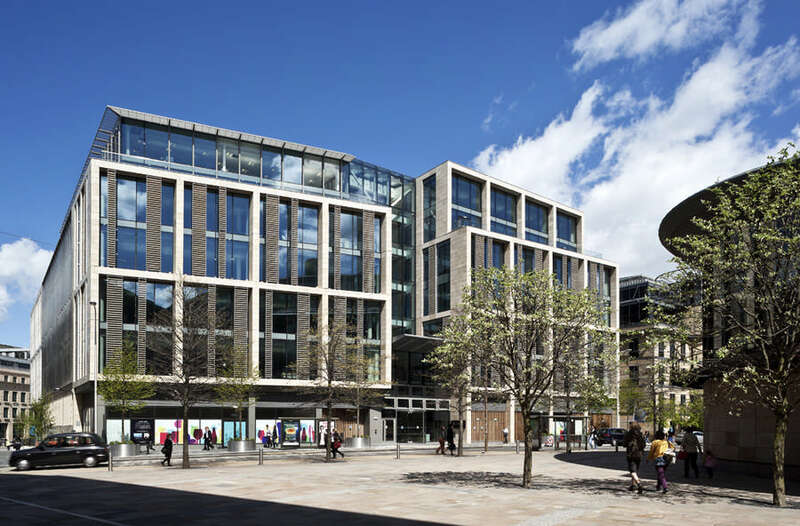 The Terry Farrell & Partners Edinburgh International Conference Centre submission will have been subject to the same rigorous assessment that has applied to all five bidders. 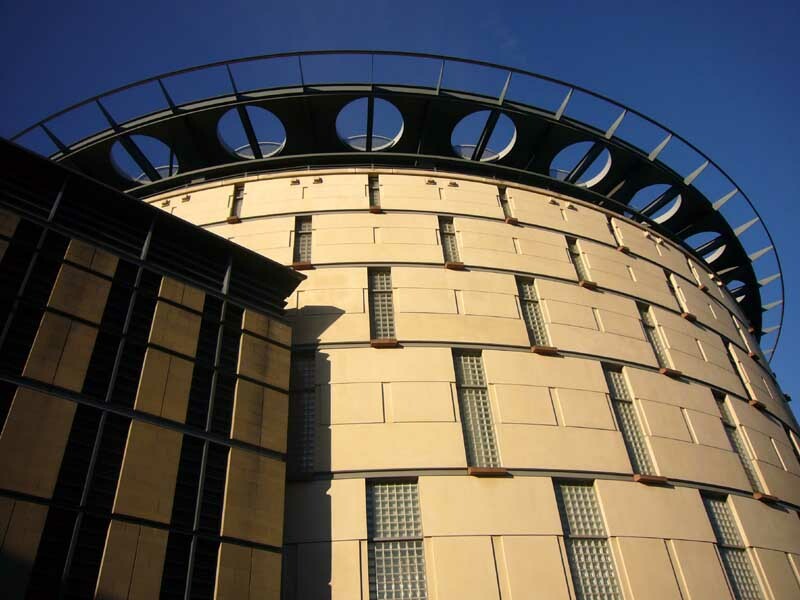 The strong rotunda form of the Edinburgh International Conference Centre has made it one of the key Lothian Road / Exchange buildings; with the adjacent Scottish Widows ‘eyelid’ building has formed one of Edinburgh’s most distinctive landmarks. 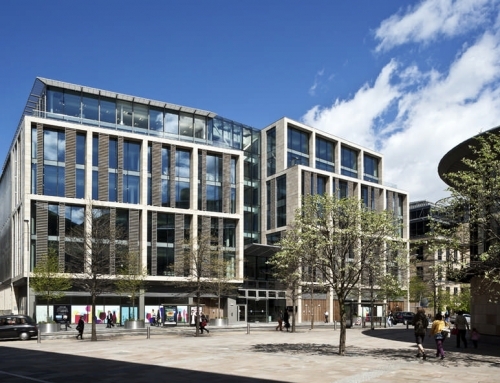 The EICC is a key part of Terry Farrell & Partners redevelopment of old railway land to form The Exchange, Edinburgh’s financial zone. 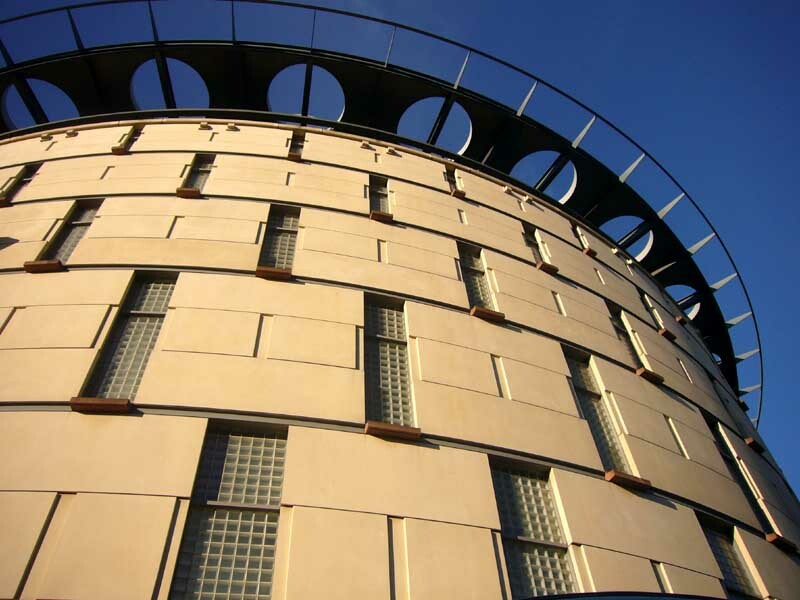 The EICC’s drum shape mimics the adjacent Usher Hall, Scottish Broch’s and Castle’s. 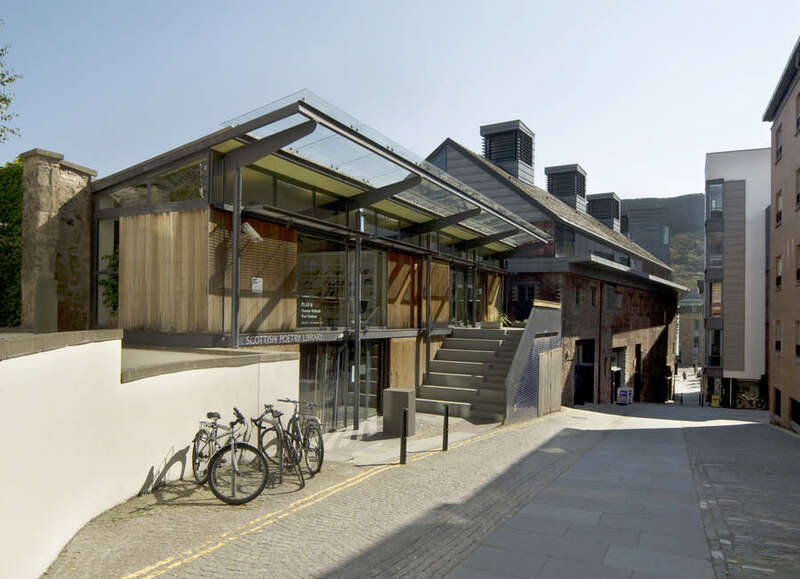 The Edinburgh International Conference Centre provides modern facilities for conferences of various sizes in its three flexible spaces. Around 200,000 delegates use the facility each year and it is estimated that the building has generated over £60m in revenues for the city since it opened in 1995. The Conference Centre Banqueting Halls are located in the Basement which has created plenty of discussion from other architects over the years. 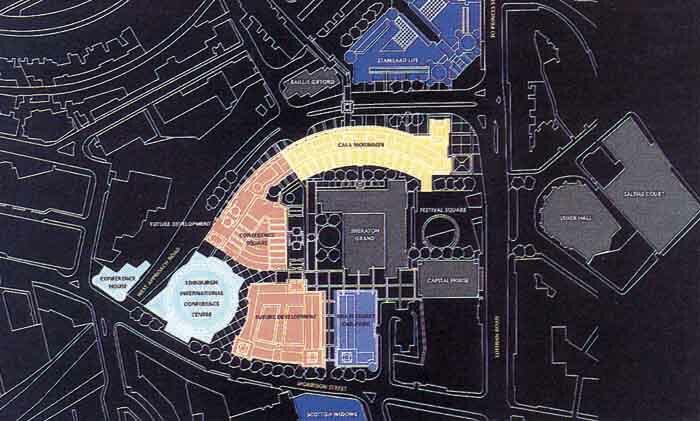 A major extension to the Edinburgh International Conference Centre is planned for 2007 that will offer important new facilities and opportunities for all sorts of events. 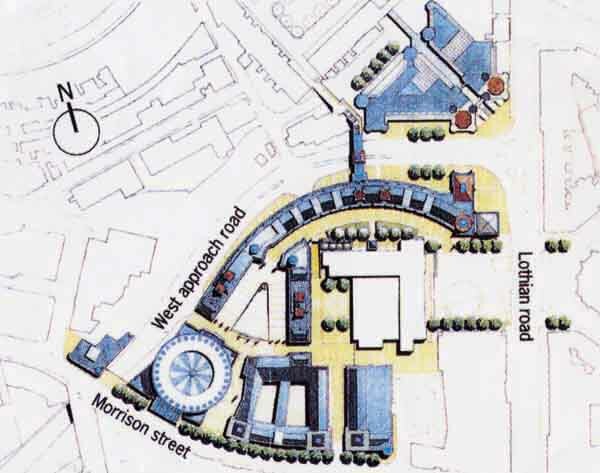 A new, independent, entrance onto Morrison Street and a glass atrium are proposed. 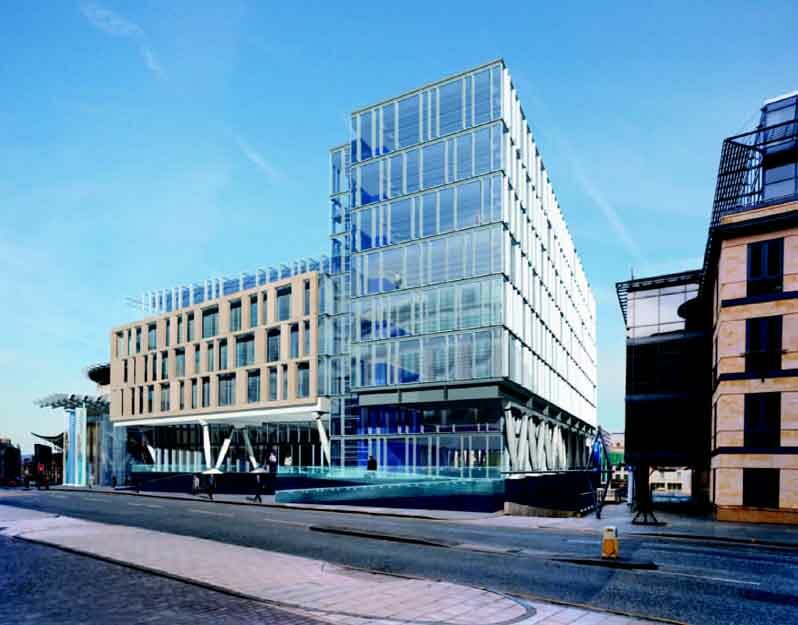 The EICC’s new facilities are to be joined to the existing building at ground level and level 2. The principal walkways will be on level 2 where they will connect with the existing Cromdale Hall. It will be a wide passage capable of housing additional displays or exhibitions. The key area of the EICC’s Additional Space Facility will be the main Hall, which will open out to a maximum of around 2000sqm. The room will be able to divide into three separate rooms, and aims to utilise moving floor technology so tiered seating can be created in many different configurations – from standard raked seating to auditorium mode. Other facilities will include eleven more break-out rooms finished in the same style as the Galloway Suite and capable of housing groups from 50 to 150. 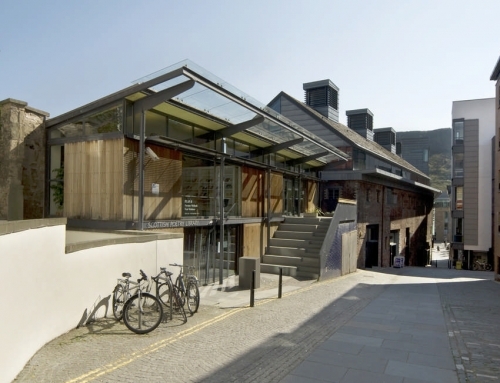 There will also be an EICC café on the first floor open to delegates during the conference. The EICC is right in the centre of Edinburgh. 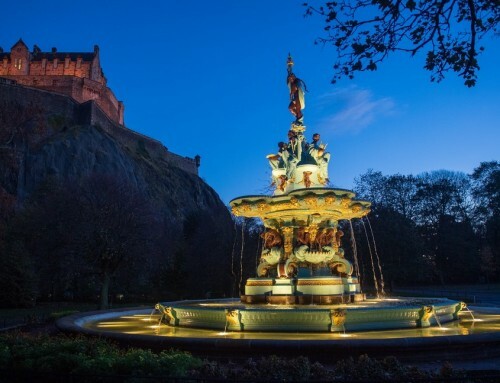 The main entrance is on Morrison Street, served by a convenient drop-off point for cars, coaches and taxis and is just a short walk from Princes Street, Edinburgh Castle and the Royal Mile. 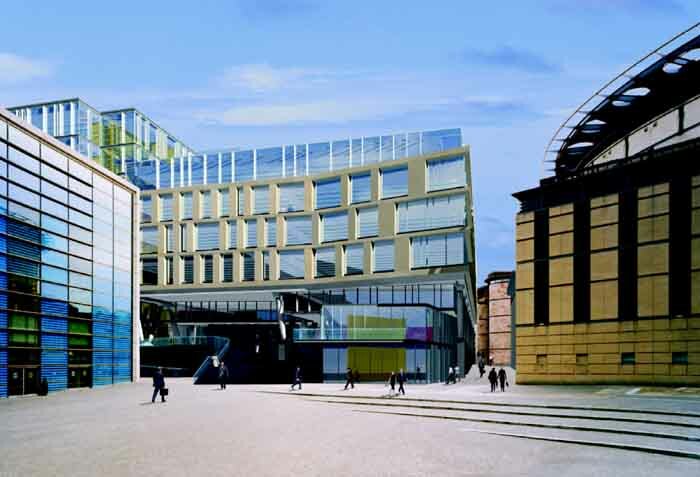 Recommendation from shortlist of five put before the Board w/e 24 March 2002: PR ‘The Board of Edinburgh International Conference Centre (EICC) today (19 Mar) approved Building Design Partnership (BDP) as the lead consultant of the multi-disciplinary Design Team who will create the design of the EICC additional function space development project. ‘This is the first key milestone in the project since our initial announcement last September. 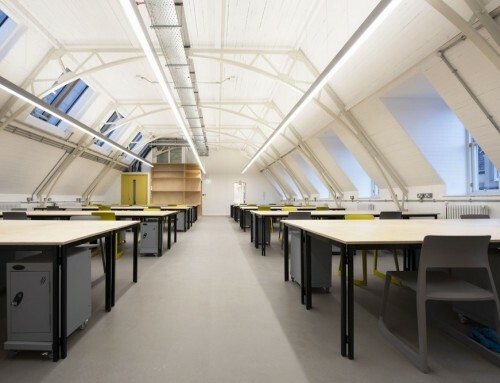 Our intention is to double the additional function space within the Centre and to seamlessly add an extra 2000sqm of high quality high specification space below street level. This has been received really well by conferencing and business specialists’.